First released as an Art Image (Smile! Mars likes you!) 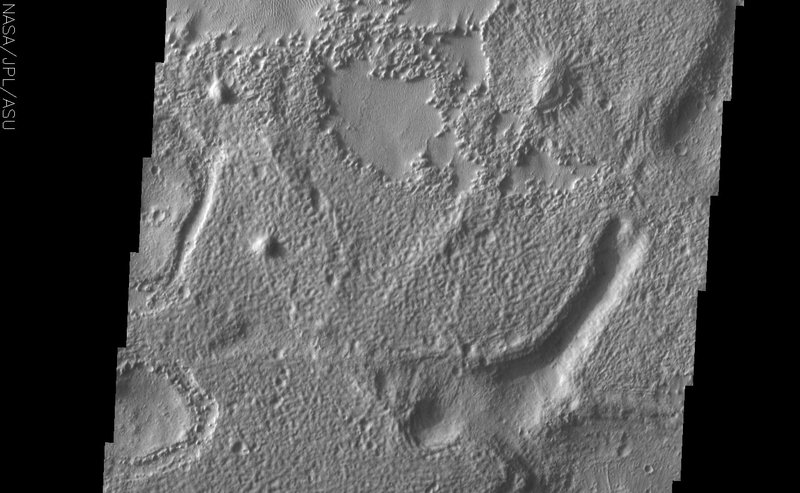 this THEMIS VIS image shows an area where the winds have scoured all the fine materials off the higher elevation surface and revealed a pitted texture. The fine material has then been deposited in the lower areas. 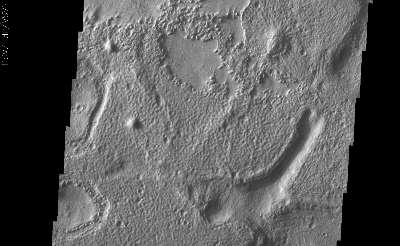 Small dunes have formed in some of the depressions.